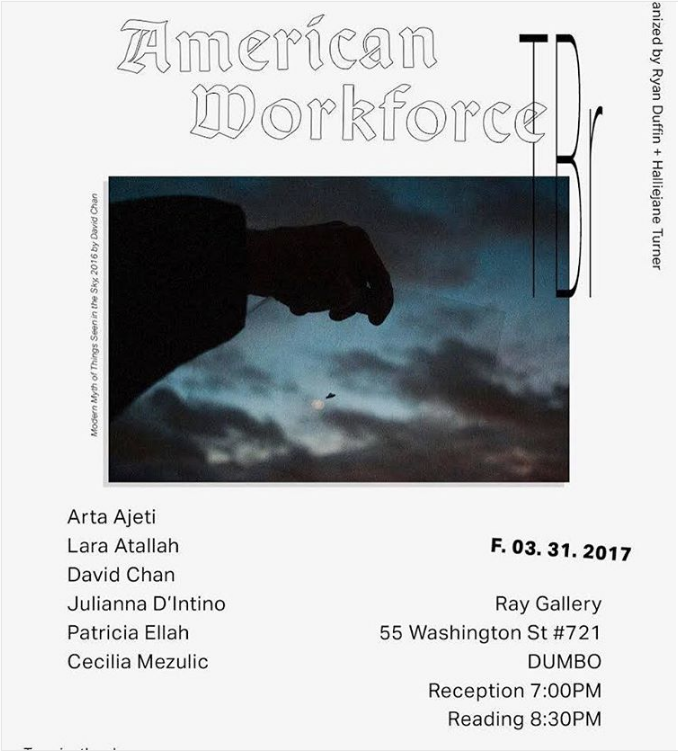 Tonight at 7PM join Cecilia Mezulic and five other international artists at Ray Gallery for Transient Bordr’s Inaugural Group Show “American Workforce”. Each of the works, when presented together, provide different perspectives on living and working in America. Further, the show thinks about how the influence of American policies can permeate the creative processes of immigrant artists. A reading with Patricia Ellah will begin at 8:30pm. Proceeds from Sales and all liquor tips will be made to ACLU and Planned Parenthood.